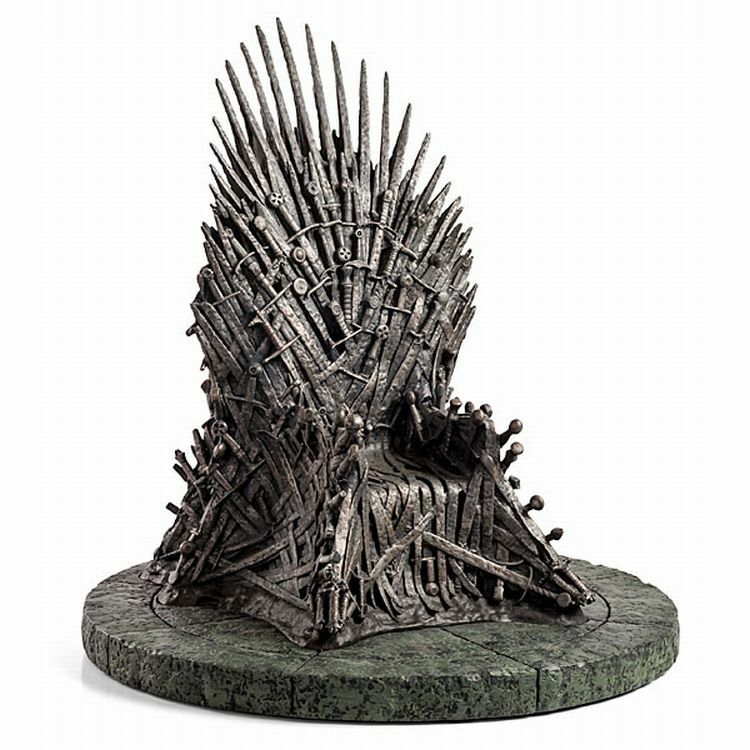 Over on thinkgeek.com, they are out of stock of their "Game of Thrones 1/6 Scale Iron Throne Limited Edition Replica" here but bookmark the page and maybe you'll see them again. Also, on thingiverse.com, they share files to print your own Iron Throne as small as 15mm or as big as your printer allows here. Finally, on the papermodels93 YouTube channel, we can view a "Paper Model of the Iron Throne from 'Game of Thrones'" which you should be able to find through the Facebook page here.